Nick and Michele invite you to come in to the "New" Corky's of Texas and say hello. We accept Cash, MC OR VISA for payment. We DO NOT accept checks. We do not serve beer or wine at this time, however you may BYOB. We are open from 11 am to 9:00 pm Tue - Thur 11 am to 10:00 pm Fri & Sat. We are Closed Sun & Mon. 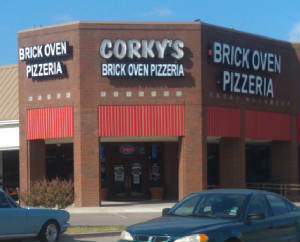 Directions to the New Corky's "Old World Wood-Fired" Brick Oven Pizzeria: Coming from the Dallas area, heading West on I-20, take the "Green Oaks - Little Road" exit. At the traffic light cross over Green Oaks, staying on the service road, to the next traffic light at Little Road. Go left on Little Road. Just after you go under I-20 take a right... we are right behind Cheddar's in Lincoln Court Plaza. From the Fort Worth area, heading East on I-20, take the 287 South - Waxahatchie right hand fork. Stay in the right lane. Take the first exit which is Little Road. Go left at the traffic light on Little Road. Turn left into Lincoln Court Plaza. We are to the right of LA/Fitness and behind Cheddars Restaurant. This Picture was taken in 2002. Between I-20 and I-287 in Arlington behind Cheddar's. 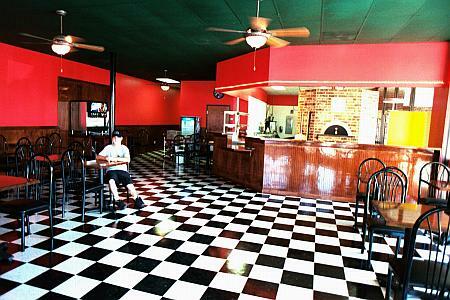 Inside Corky's summer 2002 - Arlington, Texas. 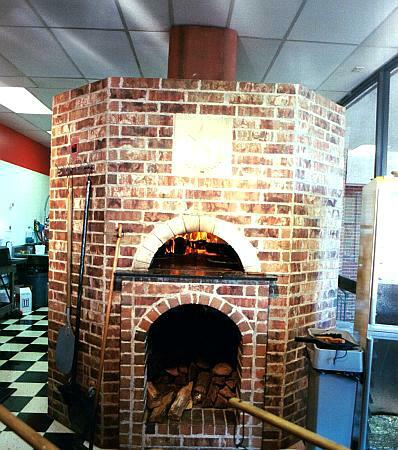 Our Custom-Built "Old World Wood-Fired" Brick Oven. This Bad-Boy reaches temps from 700-1000 degrees and bakes pizza in about 3 or 4 minutes! You can see other pages entitled "The Crew" and "The Deception" by clicking in the links at the top of this page.